A brown pelican coated in heavy oil wallows in the surf June 4, 2010 on East Grand Terre Island, Louisiana. Oil from the Deepwater Horizon incident was coming ashore in large volumes. Less attention has been paid to the Interior Department’s simultaneous efforts to loosen regulations governing offshore drilling, jeopardizing safety precautions put into place after BP’s Deepwater Horizon disaster in 2010. One proposal under consideration would recombine the two bureaus responsible for managing offshore development and for enforcing environmental and safety regulations, respectively. The Obama administration separated those bureaus after the Deepwater blowout in order to eliminate conflicts of interest and strengthen industry oversight; recombining them was viewed as one way to reduce “burdens” on the energy industry, a Trump-administration priority. The possibility of merging the bureaus was first raised in early 2017 and, according to current and former DOI employees, was favored by Secretary Zinke, even before an analysis had been drafted. In February, Zinke said a final decision would be made in the next 90 days. 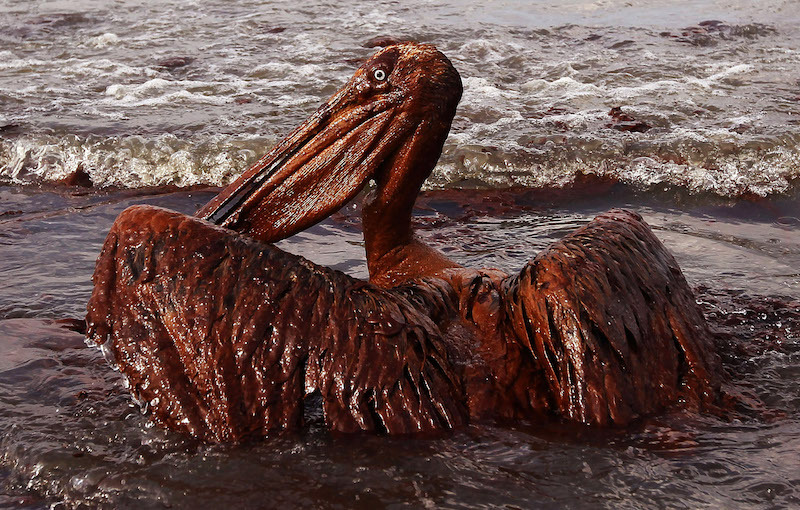 Prior to the BP oil spill in 2010, the same office that collected revenues from the offshore industry was also responsible for making sure those companies followed environmental rules. After the spill, the bureaus were separated to eliminate conflicts of interest and strengthen industry oversight. The DOI is considering recombining the offices as a way to reduce “burdens” on the energy industry. According to a draft of an internal document, the deadline for such a merger is October 1, 2018. But the department has since gone silent on the matter. According to a draft of an internal document weighing the pros and cons of a merger, which was obtained by The Nation, any effort to recombine the bureaus—a complex bureaucratic undertaking—would have to take place before October 1, in order to develop a fiscal-year 2019 budget proposal. “If there is a decision to proceed with reorganization, it needs to be made quickly,” the report states. “The sooner this work can get started, the smoother the transition will be.” The 14-page document, titled “Considerations for the Recombination of BOEM & BSEE,” lays out three possible scenarios for merging the bureaus—a “light,” “moderate,” and “heavy” option. The report argues that a single agency overseeing leasing and regulatory enforcement would have a more coherent management philosophy, would be easier to navigate for the industry, and would result in greater efficiency and moderate savings. Two sources with knowledge of the plan raised questions about whether it is still a priority, but so far it has not been officially taken off the table. DOI did not respond to a request for comment. After the Deepwater Horizon blowout, which killed 11 workers and led to the largest oil spill ever in US waters, MMS, with its close ties to industry, was an obvious target for reform. Within weeks Secretary Ken Salazar announced that the agency would be broken up into three separate entities: The Bureau of Ocean and Energy Management (BOEM), the Bureau of Safety and Environmental Enforcement (BSEE), and the Office of Natural Resources Revenue (ONRR). Zinke, however, has suggested that the break up of MMS was an “overreaction,” and has said that BOEM and BSEE may not be “working as well jointly as they should.” An initial draft of the report outlining options for merging the bureaus was submitted in March 2017, according to documents obtained through a FOIA request. By late July 2017, though, BOEM Acting Director Walter Cruickshank, one of the report’s authors and a longtime career employee, wrote in an e-mail that he’d received no feedback and that a final version had not been signed. A second revised draft was submitted in September 2017, along with a recommendation made by Cruickshank that is redacted in the FOIA documents. 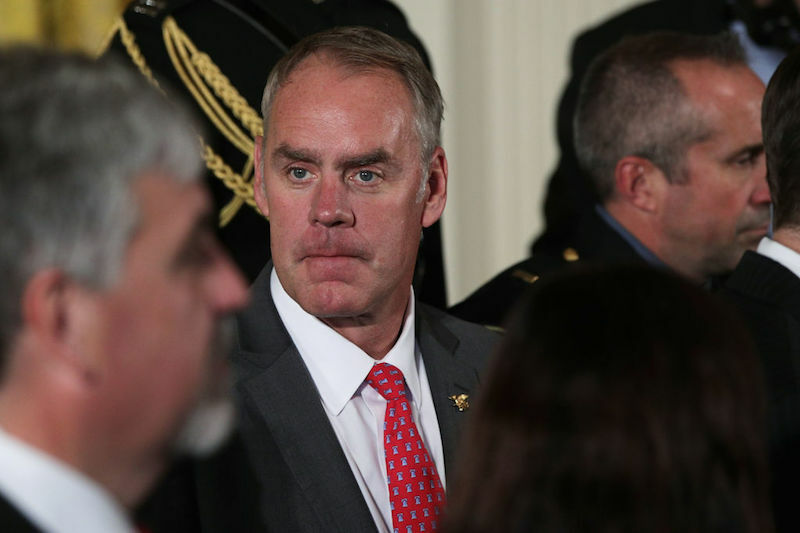 Interior Secretary Ryan Zinke attends an event at the White House on October 26, 2017. Even the oil industry is not convinced the merger is a good idea. Some industry leaders “have already expressed concern that reorganization could slow down approvals of industry actions,” the report reads. The National Ocean Industries Association, a leading offshore lobbying group, said in an e-mailed statement that a “merger could have very positive outcomes,” but that it would require significant time and resources that might detract from the department’s goals. And the merger could provoke a backlash, particularly coming in conjunction with the administration’s push to open new areas in American coastal waters to drilling. “There likely will be public criticism, especially from those who recommended the break-up of MMS or who otherwise oppose offshore oil and gas activities,” the report states. Governors in nearly every state that would be impacted by the proposed five-year plan raised objections to it, fearing loss of tourism dollars and the potential scarring of beaches and wildlife in the event of a catastrophic spill. Florida Governor Rick Scott managed to secure a promise from Zinke that his state would be exempted from the plan, igniting an uproar from other governors. Some states have taken matters into their own hands. Recently, California Governor Jerry Brown signed complementary bills that would essentially prohibit any new offshore development, setting up yet another showdown with the Trump administration. DOI has proposed a number of changes to two other safety measures drafted in the wake of the BP oil spill. Critics argue that changes to those policies, known as the “well-control rule” and the “production-safety-systems” rule, weaken oversight and leave too much to industry discretion. If the DOI also moves forward to recreate an entity like MMS—a single agency responsible for revenue collection, leasing, and environmental safety—it would amplify the message that the department is reversing important safeguards designed to prevent future spills even as it ramps up offshore production.